New Music Video: Taylor Swift "Fifteen"
Taylor Swift and her record label (Big Machine Records) have released the new video for "Fifteen" which is featured on the upcoming CD & DVD Platinum Edition of "Fearless," which drops October 27. Fans of Taylor Swift will be thrilled with the high production value of Taylor Swift's new video. Pre-orders for the new, expanded 2-disc "Fearless" Platinum Edition have been huge for the teen country sensation. In fact, the original release has been a fixture on the Billboard Top 200 Album Chart and the Billboard Country Chart for months. "Fifteen" should help drive sales of the Platinum Edition even higher, and initial fan buzz for the video is strong. This is the cover for the Platinum Edition of Taylor Swift mega-bestseller "Fearless." The special edition CD & DVD includes 6 new songs and an amazing DVD filled with photos and tons of extra features. "Fearless" has already sold over 4 million copies. 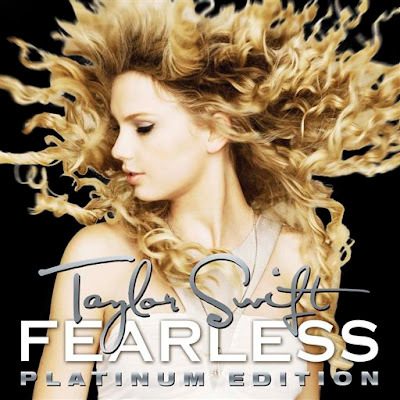 Order "Fearless: Platinum Edition" featuring "Fifteen"